Congratulations to Sami Garra (@samigarra), giveaway winner! Oh I do love autumn giveaway season here at ATP because it gives me the opportunity to feature artists I've met throughout the year... and I use the term met quite loosely. Raya Sader Bujana lives in Barcelona, Spain, but due to admiring her social media updates and exchanging emails I feel as if we are, at the very least, compatriots in paper with an admiration for pretty things. 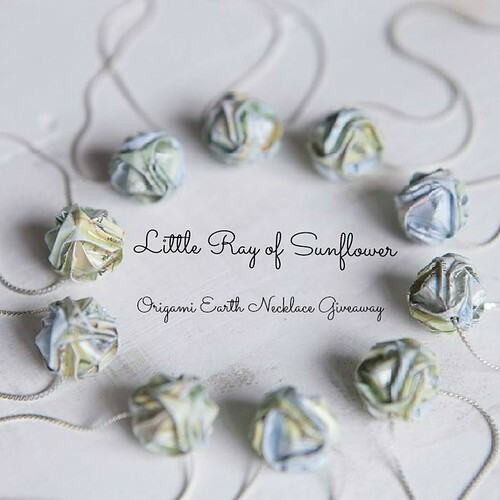 Raya makes an array of origami jewelry, as well as party and home decor for Etsy shop Little Ray of Sunflower. She upcycles paper from advertisements, flyers, outdated maps and books in elegant ways and even makes her own packaging from otherwise discarded paperboard. You can see skills learned while studying architecture at university shining through in her projects. Raya admits to being a perfectionist and says she creates each item as if she would be keeping it for herself. She welcomes custom orders... a batch of paperboard cameras were made for photography company employees and the hand painted paper blossom was requested as a unique engagement ring that led to a collaboration with a silversmith. In addition to managing her shop, Raya works as a freelance store window designer and art director for photography and video projects. 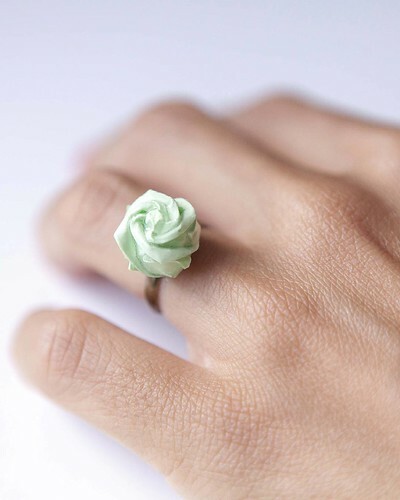 She makes origami gems in all sizes... from tiny rose rings to giant-size diamonds. ...as you may have realized, the Origami Earth Necklace. GARLAND FB from Little Ray of Sunflower on Vimeo. 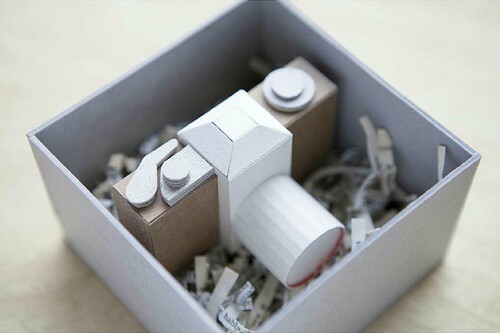 The stop motion product videos Raya creates with photographer and film maker Leo García Méndez are incredibly clever. I can only imagine the hours they take to make, but are so worth it. teacup FB from Leo García Méndez on Vimeo. Now about the worldwide giveaway! 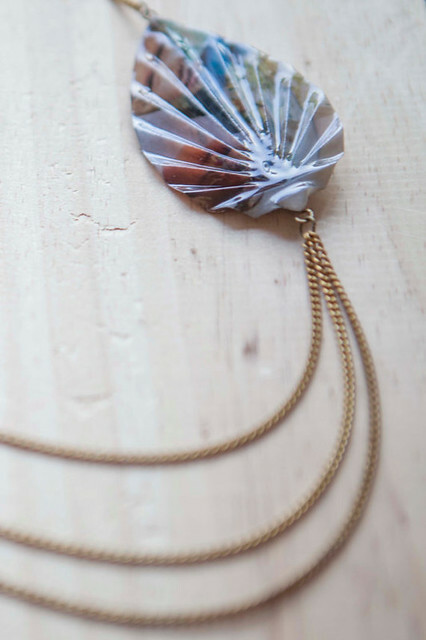 Raya will be sending an Origami Earth Necklace to one winner. It has been folded from 1960's world maps, measures a bit less than 3/8 inch (about 1 cm), has a glossy varnish finish, and hangs and slides along a 16 inch (41 cm) sterling silver chain. The giveaway runs through Friday, November 6, 2015. Leave a comment on this post along with a way to be contacted as your entry. Double your chances by liking the Instagram giveaway photo. Just make sure you are following @littlerayofsunflower and @allthingspaper on IG. The winner will be drawn at random, and announced at the top of this post and on the Instagram pic. Good luck! Visit Little Ray of Sunflower on Etsy, Instagram and Facebook. All photography by Leo García Méndez with the exception of the third image which is mine. This is so cute and pretty! So delicate and personal. Amazing and inspiring to all of us amateurs! Wow - extraordinary work - Love it!! 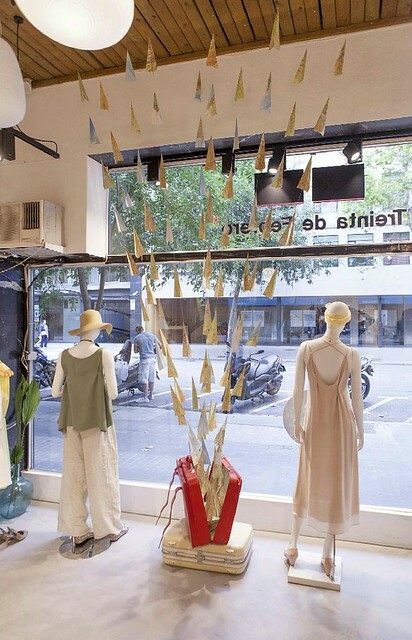 Fascinating to see Raya's exquisite creations! 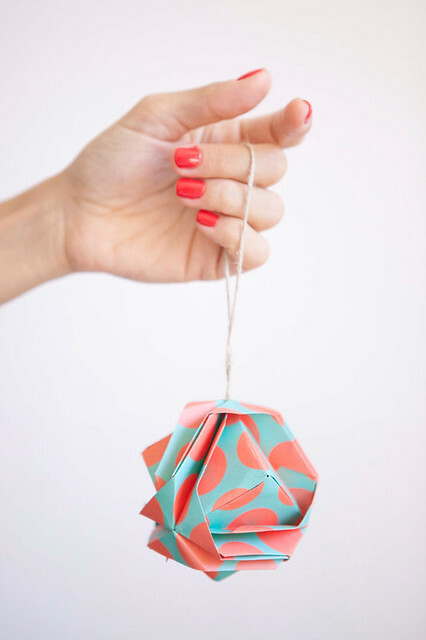 These little globes are darling! Stunning pieces - and so unique too! A lot of patience involved in making these beautiful works of art. Pick me! Pick me! These are beautiful and to be coveted. This is amazing and so lovely! I love her art, she's soooo talent!! 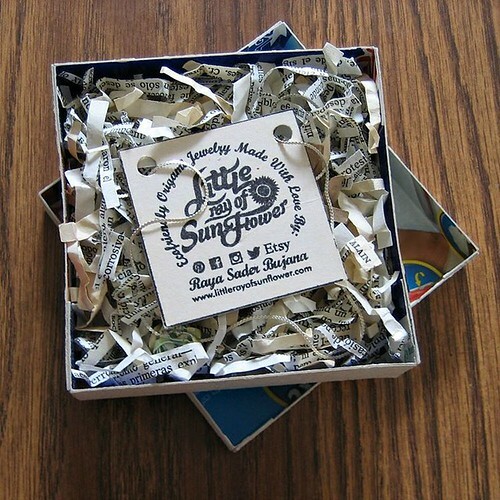 I follow All Things Paper / Ann Martin and Little Ray of Sunflower on facebook. Hope it's OK. 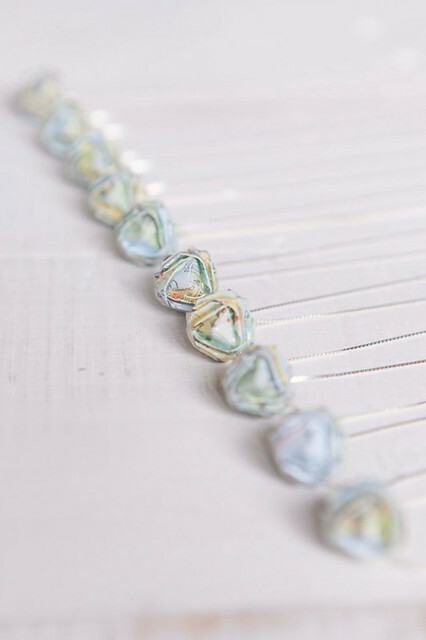 Isn't it cool how origami can be used for jewelry!! If only I was able to be as creative. Too cute! So creative !! Hard to pick a favourite although the camera looks fantastic. 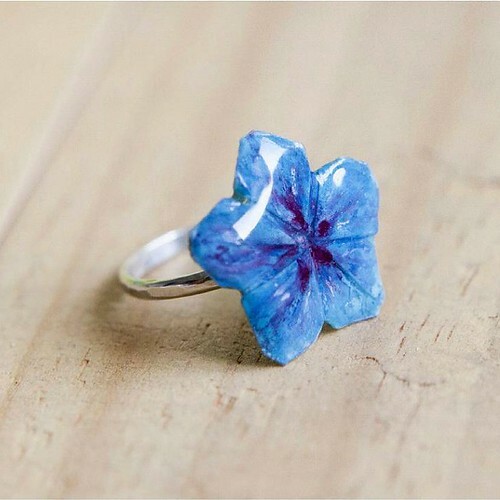 Raya has beautiful jewelry in her Etsy shop. I especially like the Earth World Map Necklaces. That necklace is so adorable! I'm def checking their stuff out for possible Xmas gifts! Really a pretty origami!! Love them!! I love how delicate and detailed it looks! and the colors just have this thing which soothes the eyes. Wonderful craftsmanship! This necklace looks like it's one you would love to wear everyday. The necklace is so pretty! I love everything in world map designs. You can contact me at ohohshit@gmail.com and my Instagram is ohohshit. What an amazing talent! Thank you for the chance to share. Hi, It's not my birthday but it doesn't matter. I love jewellery and origami. Thanks for sharing, Eva! Are you a paper artist? What is the address of your page? The giveaway has ended. 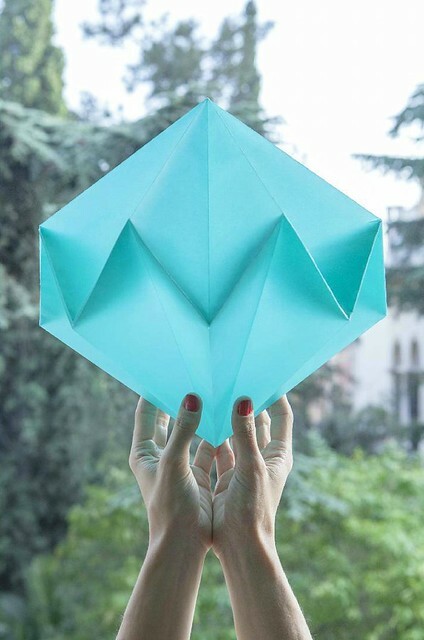 Thanks for all the nice comments about Raya's origami! Oh I missed the give away.... Truly found yourself a newbie here.